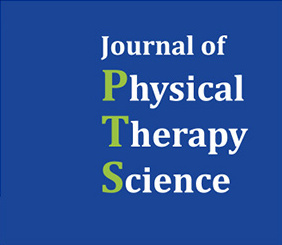 Purpose: The present study aimed to conduct a comparative analysis of changes in mechanical char- acteristics of cervical muscles and cervical posture in patients with cervicogenic headache following exercise pro- gram intervention in order to present effective treatment methods for such patients. Subjects and Methods: A total of 30 patients with cervicogenic headache were recruited and 15 patients were allocated to cervical stretching exercise group and 15 to cervical stretching exercise and cranio-cervical flexion exercise group. After 3 weeks of exercise intervention, craniovertebral angle and tone (Hz) and stiffness (N/m) of the suboccipital and upper trape- zius muscles were measured. Results: After the exercise program intervention, a greater amount of change in tone of suboccipital and upper trapezius muscles was found in the experimental group, as compared to the control group, but the difference was not statistically significant. Greater amount of change in muscle stiffness and craniovertebral angle was found in the experimental group, as compared to the control group. [Conclusion] Findings of the present study showed that cranio-cervical exercise was an effective form of exercise for changing muscle characteristics and posture in patients with cervicogenic headache. Such findings will be helpful in providing effective treatments for patients with cervicogenic headache. The present study performed comparative analysis on the changes in mechanical characteristics of muscles and posture in patients with cervicogenic headache after applying intervention with different exercise programs. The results showed that the group that had cervical stretching and stabilization exercise applied had greater amount of changes in tone, stiffness, and cervical posture. If such points are taken into account when applying exercise therapy to patients with cervicogenic headache, the patients can be maintained more effectively.